Holi is one of the most important festivals of the country which has been celebrated across the nation every year in the month of Phalgun (Hindu month). This year, Holi will be celebrated on 20th and 21st March 2019. The celebration of the festival of colors has begun from today, i.e. 20th March. Every festival has its own significance and also there is special puja that has to be performed at the right time to celebrate the festivities. The same is with this colourful festival, Holi. Before playing with colours and water, Holika Dahan used to be performed. However, Holika Dahan also termed as ‘Choti Holi’. It commemorates the death of ‘Holika’, the aunt of Bhakt ‘Prahlad’ (son of Hiranyakashyapu), who sat on a blazing fire along with the Prahalad to remove the name of Deity Narayana (Vishnu) from his heart. As per Hindu belief, Holika had been blessed by a boon which made her immune to fire. Holi is celebrated on the full moon or Poornima during the Hindu month called Phalgun. Thus, Holi is observed on the previous evening. 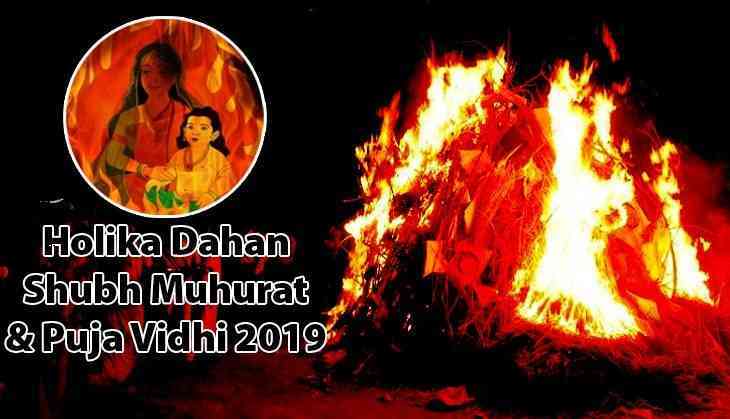 As per the belief of Hindus, Holika Dahan should be performed during the period just after the sunset as the Purnanmasi tithi prevails i.e. during the ‘Pradosh Kaal’. How to perform Holika Dahan? To perform Holika Dahan, its preparation starts before several days as people start accumulating wood and other combustible material for lighting beacon near the temples, in parks or open spaces. Most of the people used to perform the rituals at their homes only. Wood’s log, dried leaves, twigs etc. all combustible materials are collected and then, as per the muhurat of Holika Dahan, people used to set a fire on it and recite prayers or Rakshoghna Mantras. 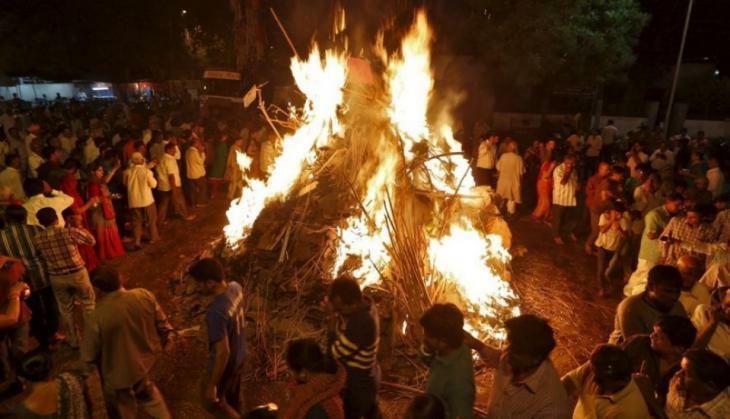 Also, people roasted jau or barley in the Holika fire and take back to their home and distribute to their family and friends as good wishes of Holi.